The Windows 10 error wdf01000.sys is one of the errors of the blue screen that can have various error messages. The error message could look like this: “STOP 0×0×00000050: PAGE_FAULT_IN_NONPAGED_AREA – Wdf01000.sys.”. However, all wdf01000.sys error messages contain wdf01000.sys and this system error may occur accidentally or while running some software. This allows you to fix the wdf01000.sys error in Windows 10. Wdf01000.sys is a device frame driver. These BSOD errors are due to corrupted drivers installed on your computer. There are some of the most common causes of this error. One of them is a problem with a USB port. It may also be an obsolete or defective USB driver (or other driver) that needs to be reinstalled or updated. The other is an antivirus program or scanning tool that confuses your system configuration and causes conflicts that cause the wdf01000.sys error. What options do you have to get rid of the “wdf01000.sys bsod” problem? In most cases, the solution to the wdf01000.sys bsod problem is to correctly reinstall some software that uses this file on your PC, in the Windows system folder or in the installation directory of the game or application. But if you don’t have the application’s installation distribution or if you just don’t know which program uses this file – you should probably download this missing or corrupted file and place it in the right folder. 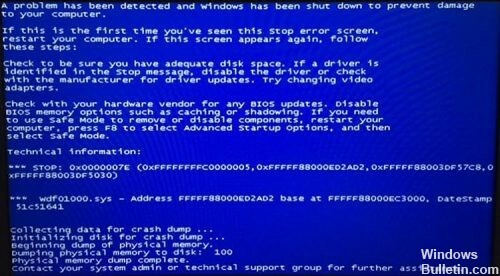 Malware that can damage system files could be responsible for the BSOD error wdf01000.sys. 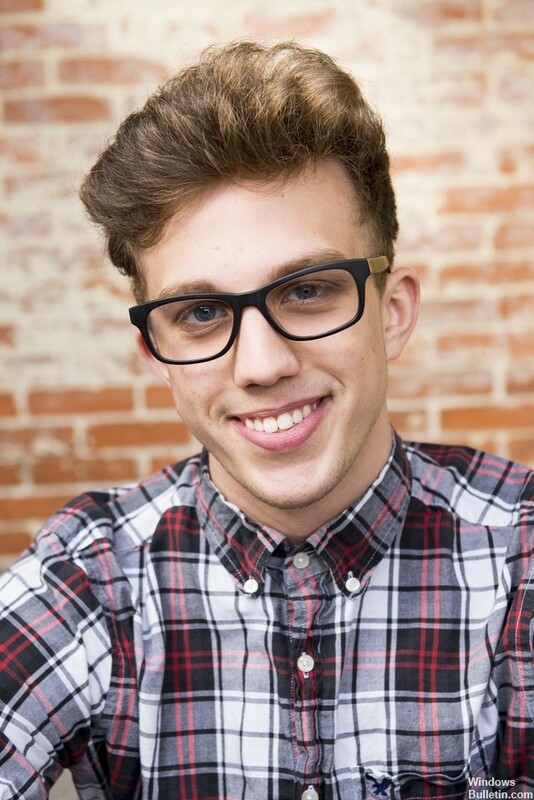 It is therefore worth scanning for malware with antivirus software. 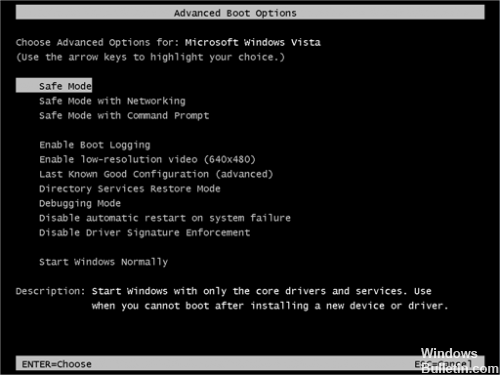 Start Windows in Safe Mode or Safe Mode with Network. Click the Start button or press the Start button, and then press the Power button. Press and hold the Shift key when you select Restart. From the full screen menu, select Troubleshooting>Advanced Options>Advanced Options>Start Settings. From the Start Settings screen, tap the Restart button. The PC restarts and takes you to a screen with the boot parameters. Use the arrow keys on your keyboard to select Enable Safe Mode or Enable Safe Mode with Network. 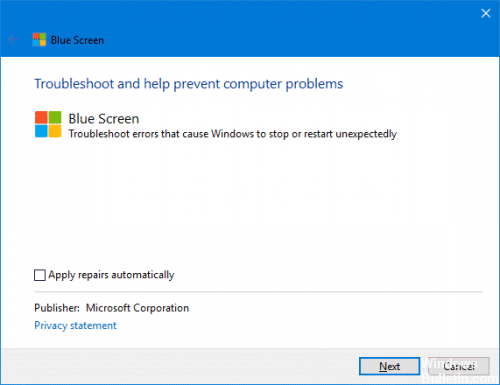 Blue Screen Troubleshooter is another new feature in Windows 10 Anniversary Update. This troubleshooting software finds the cause of blue screen errors that can occur on your computer and helps you correct them. Open the Control Panel, change the display settings to icons. Click Troubleshooting and click View All in the Task Pane. Click on “Blue Screen”. This opens the blue Troubleshooter screen. By default, “Apply repairs automatically” is enabled as with all Windows troubleshooting software. If you only want to run the tool without automatically repairing anything, click Advanced and clear the “Apply repairs automatically” check box. Click Next. In the comments below, let us know if any of these solutions helped you solve your BSOD Wdf01000.sys problem.